This was one of my submission to the Graphic Sketchbook contest. However the CH didn't like the doodle on the background, I find it very cool. Plus really nice gradient with a very warm feel to it. Actually to make the scratch typeface a tablet pc or just a tablet is great to scratch over a letter to get this result. 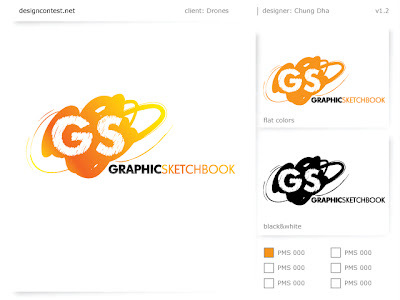 It would be a good logo for any design company or certain painting or artist community or company.